Share AnyFont with your friends ! What is new in AnyFont? 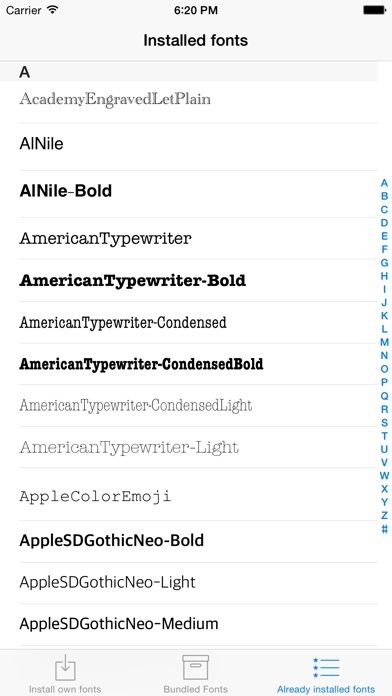 With AnyFont it is finally possible to install any additional font in TrueTypeFont- (.ttf), OpenTypeFont- (.otf) or TrueType Collection- (.ttc) format on your iPhone or iPad. 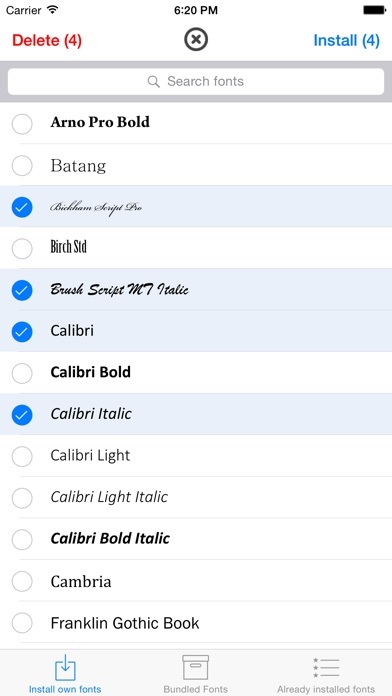 These fonts can then be used throughout the system in other apps like Word, PowerPoint, Pages, Keynote and many more. No more unexpectedly replaced fonts in presentations because the iPhone or iPad does not know them. The perfect solution for everybody who creates presentations on a Mac or PC to show them on their iPad. Extremely easy to use. An extensive FAQ and an introductory tutorial help you to understand the app. - and many other apps! NOTE: It is not possible to change the system-font on your device with AnyFont. 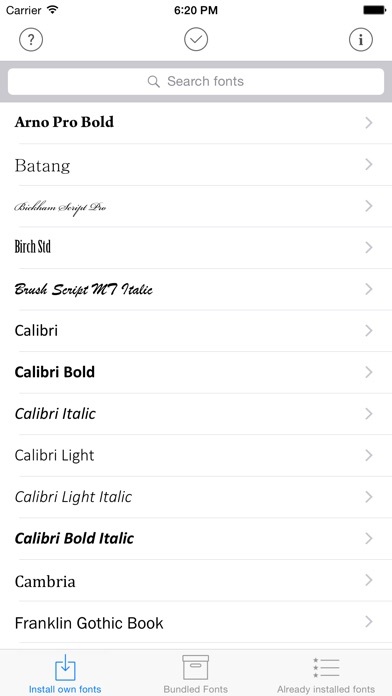 With AnyFont you can install additional fonts on your device which can then be used by other apps which make use of the device's font book. NOTE II: Some fonts using Cyrillic or Asian characters may not be supported by this way of installing fonts due to their size. The maximum size of a configuration profile for a font is 20 MB. 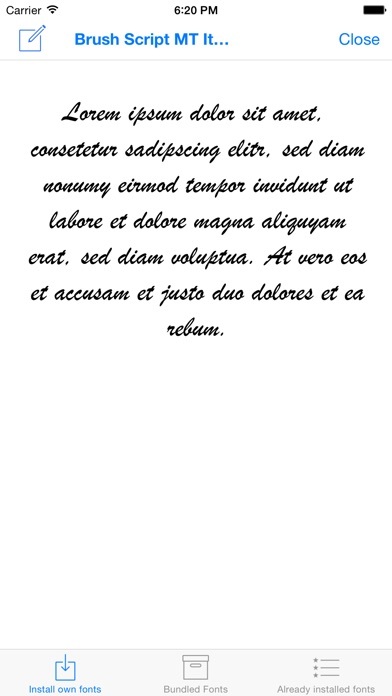 NOTE III: You don't have to purchase the optional font bundle to use AnyFont. 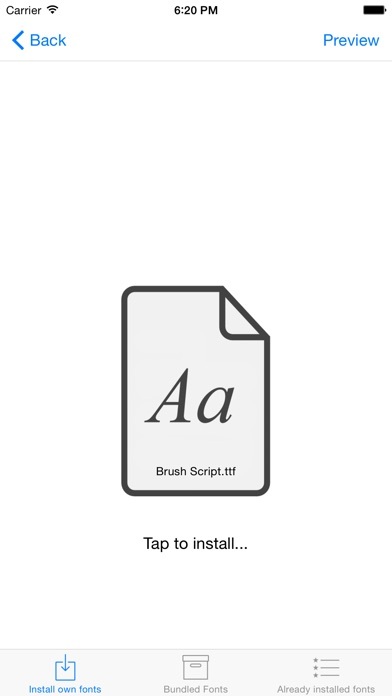 You can always add your own fonts to install them on your device.